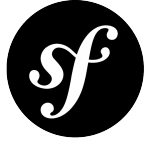 It’s here, Symfony 2.0 Beta1 is now available to download and play with. You can Download Symfony 2.0 Standard Edition beta1, a good place to start is the quick tour, or the book, both of which should give you a good push in the right direction on how this new version of Symfony fits together. This Beta1 version contains all of the features of the final release, though as it’s beta you can expect a few of them to be a little unstable in places. It also means that it is possible that when it becomes a final release there may be some compatibility issues, but I would hope that any issues would be explained and documented in any Upgrade path information later on. They are also asking all of us developers for feedback if we start to use it. You can contact them via the Google Group, or create tickets on the bug tracker. If you find a bug that you can fix yourself they are also asking us to contribute patches, which is pretty cool. Here’s hoping for a swift beta period and maybe we can see the first full release of Symfony 2.0 in a few months.